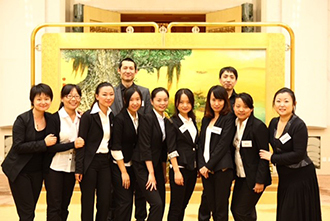 Motivate China is a full service DMC, offering a range of services for incentive programs, conferences, meetings and event management for small and large groups. Our in depth logistical expertise offers professional, detail focused and flexible support systems for your event, regardless of its size and complexity. Based on client feedback, we have also developed special interest tours for individuals. We operate in every corner of China. for meetings, incentives and special events to the highest international quality standards. Motivate China makes your program come alive. We facilitate every detail, bypassing traditional barriers and putting our clients in touch with the very essence of this great country. Every solution we provide takes into account our client's needs and how those needs translate on the ground. It is much more than an event, or a reward for a hard year's work. It is about connecting with the most dynamic market in the world in a very intimate, professional, meaningful way. Our greatest reward is to have a custom business travel solution develop into a new business relationship, a lasting friendship, or an unforgettable experience that keeps you coming back. Over 15 years in travel industry, 10 year experiences in MICE industry. Used to work for Pacific World as Manager of MICE, responsible for program development and program operations. In the past has leading her team handled over 1000 programs, clients from everywhere of the world. Barbara Wang is a member of SITE and MPI. Echo has worked for Pacific World Beijing for 6 years, now she has been with Motivate China for 5 years as Senior Account Manager. She worked on many incentives and events such as Jaguar New Production Launch, DCM investment event, Research Board China Event…from 20 people to 2000 people, Echo has the magic to make sure programs run smoothly regardless it's size! Fiona started her career as a tour guide in Beijing for 6 years, at where she learned how to communicate with different people and understanding client’s needs. She decided to make a change as she likes to have more challenges in her work. She has been working with Motivate China for 4 year. She is passionate of what she is doing. Peggy is citizen of UK. Over the span of 30 years in MICE industry. Used to work for Pacific World as Managing Director, Hong Kong. Peggy was honored to work with many of the best incentive houses and agencies and privileged to handle their client's, which included many Fortune 50 -1000 companies. Peggy is leading the Hong Kong office. Peggy was elected as the Board of Director of SITE in 2005. Peggy awarded 2004 IMEX Academy Award for Asia. Peter was one of the first guys who brought MICE programs in Main Land China and Hong Kong. He has gained rich experiences through more than 20 years working with Pacific World as Account Director, he was also leading the operation of Iner- Cruises, responsible for Cruise programs after the move of Pacific World was purchased by another cooperation.